I started pressing my manufacturers to use eco-friendly manufacturing using recycled carbon steel and reclaimed polycarbonate and that is how I currently manufacture. 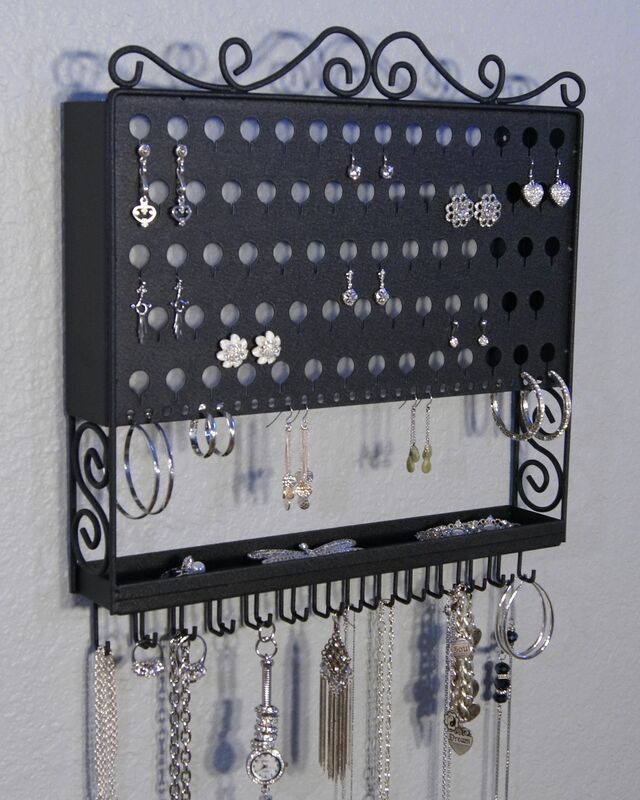 More of my research found that the imported metal earring holder, jewelry organizers and necklace racks use mystery metal…a combination of copper, lead, zinc and iron and their finishes are cheap dips and/or paints some with cadmium. My metal products are US Carbon Steel with a baked on powder coat a finish that will last a lifetime. As I have sold out I improved every design, unfortunately the revisions made the manufacturing costs go up quite a bit, but I refuse to skimp on quality. Even though most of my product line is upscale I did have the Polycarbonate Acrylic Earring Angel, something most anyone can afford. I started to sell on Amazon my entire product line but I was still doing all the quality control, receiving, shipping and fulfillment I did all of this until May 2010 when Amazon offered me their fulfillment. I was for the first time ever more than overwhelmed with sales. I was happy don’t get me wrong, I was just so crazy busy that it took all I had to keep up and somehow I did it. 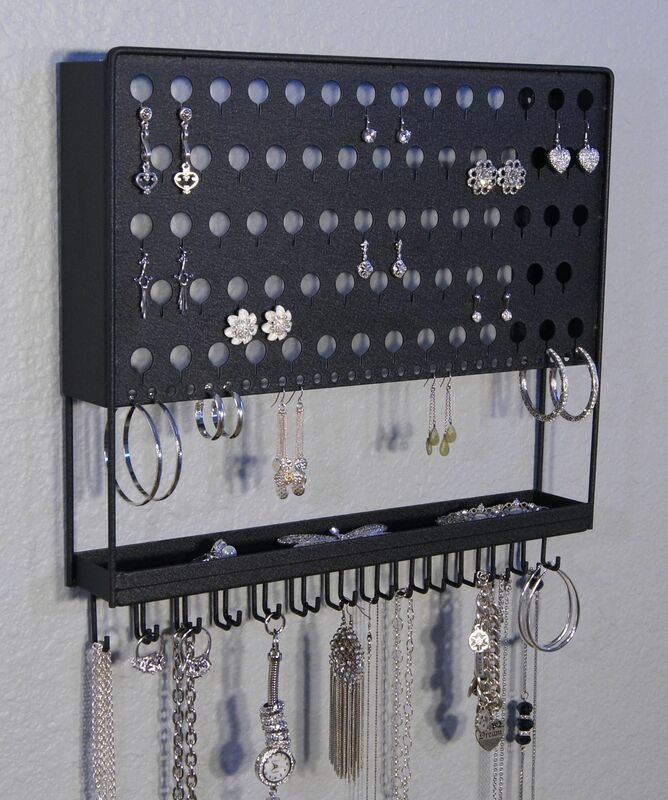 I almost completely sold out of all my Steel Products at Christmas, and all I had left were my Lexan Earring Angels and several dozen of mixed products. This was my biggest sales month ever. I sold and shipped over $20,000 worth of product in 30 days all by myself. Like I said I was crazy busy! Oh how I wished I could have kept that money… but I had to reinvest it in order to keep growing my inventory so I would not sell out and lose my placement in the search engines since this is how people find me. I have been building search engine visibility placement only to lose it and start over again every time I sell out. Then it takes 3-6 months to have great visibility for any given sold out product again. I took another risk by raising my minimum orders of the steel products and improving the designs again in this recession. This was my largest order ever for the necklace trees, steel earring holders and Accessory Angels. My stock is finally starting to coming in. Hallelujah! I have been out since Christmas. More stock is trickling in! Items are selling too fast so I raised my prices to hold onto the stock I had just a little bit longer. I began to realize that there was a need in the commercial/retail market for these items as well. 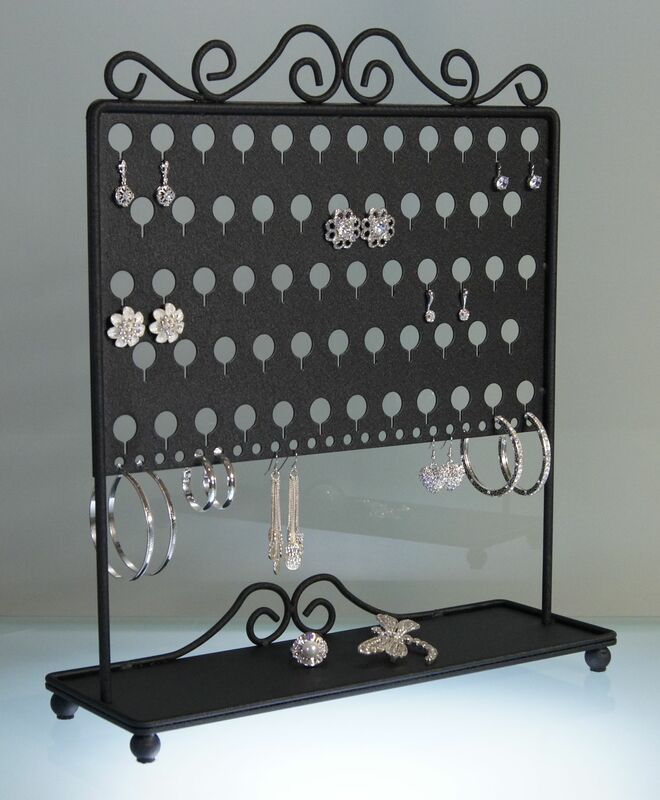 Originally I was only thinking of jewelry organizers for personal home use, but now my business is growing and developing into another category the Boutique Jewelry Display Stands, which is great! I decided that for future orders I would add a Satin Nickel Finish, Chateau Brown and perhaps a Mineral Bronze. Milojo Productions launched a country-wide search for female inventors for a show to premier called “Homemade Millionaire” with Kelly Ripa on TLC in November 2010, hosted by Ripa. I gave it a shot and tried out bringing my friend Rose for support. I had 30 seconds to “wow them” but I was not selected, lack of a category for my type of product may have been a factor who knows because they also put me in miscellaneous. Items coming in stock and running like a well-oiled machine. I began ordering early Christmas Stock from Chicago. 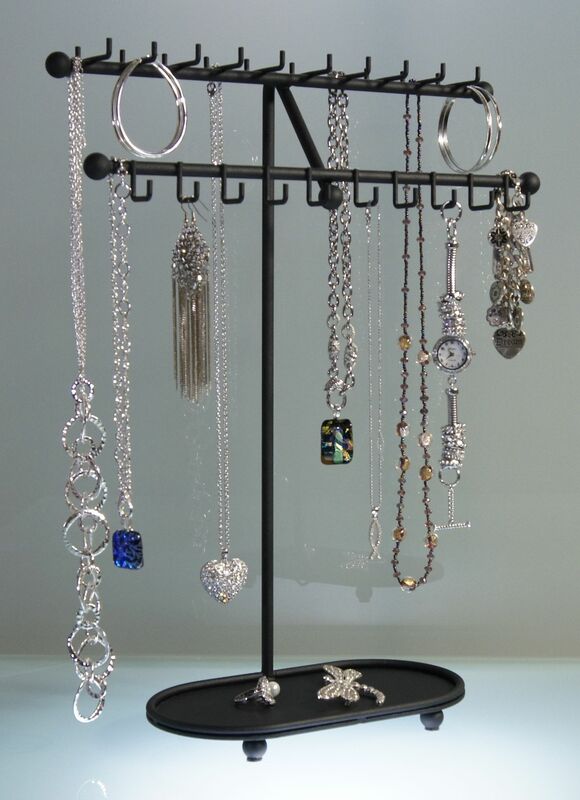 Introduced EATS a Table Top Earring Angel, Jewelry A, Jewelry Tree B and Jewelry Tree C. For this run I decided to improve it and revised them to have a weighted steel base that also works as an accessory tray. This was a great design for home, retail or commercial use. I continued to order more Christmas Stock. I was spacing orders every 6 to 8 weeks so the net 30 invoice would not be due all at one time. I do not want to sell out this Christmas so I ordered even more Christmas Stock from Chicago. They promised it would be here by Black Friday, the day after Thanksgiving, but it did not come as promised. I designed a new website, created a layout, color palette, searched on istock.com for the right photos, took product photos and did all the text work then hired a web builder to put it all together. 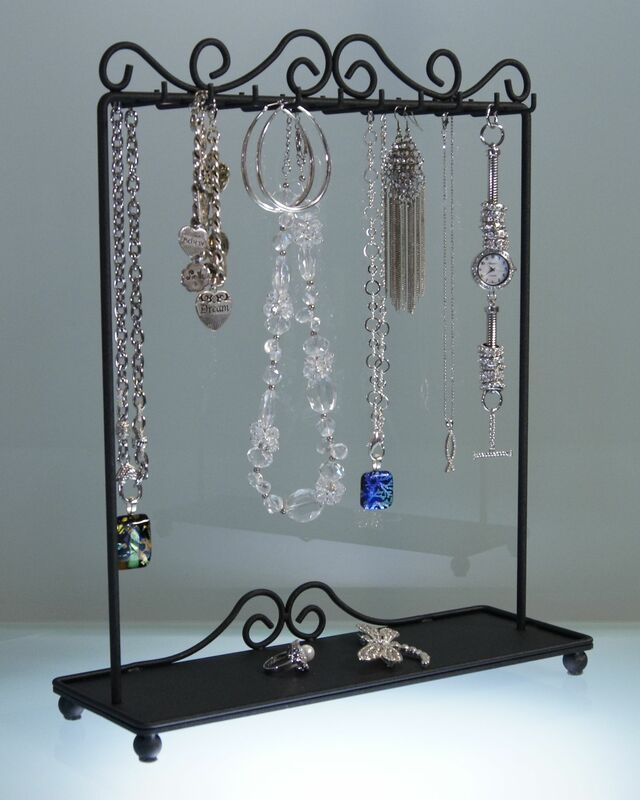 Angelynn’s Jewelry Organizers www.angelynns.com opened for business changing from http://www.earringangel.com. I kept on working on new ideas and designs and I uploaded my first Youtube videos. I received my 2nd run of the Multi-Purpose Earring Angels just in time for Christmas. I revised them to have more necklace hooks and another design option, a contemporary/modern style as well as the vintage/traditional style. Jewelry Tree A now called the Sharisa Jewelry Tree were moving fast, so I re-ordered and changed the design a little. I am hoping to not run out before Christmas. There are many other designs in my head and on paper and I am looking forward to the day when I can get them rolling too. However, I did sell out of quite a few products. The new Multi-Purpose Earring Angels were a HIT!